Today, our journey across the mastering world takes us into the slippery terrain of stereo enhancers. In the previous article, we addressed compression within the context of home mastering with a classic compressor. It's time now to tackle multi-band compression. 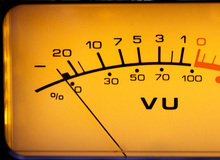 Today we will focus on compression, another important aspect of the mastering process that's often misunderstood. The latest installment of our Mastering at Home series deals with some common situations when using an equalizer. In mastering, EQing could be your best friend or your worst enemy. Which of the two depends on your grasp of the word: subtlety! In this third part of our Home Mastering series, we will write about the process to follow in order to make the right decisions at the right time. If you're fortunate enough to be able to afford professional mastering with a dedicated engineer in a well-designed and equipped mastering studio, that's clearly the route to the best quality results. But what if that's just not possible?